Welcome to the simplest way to send a spectacular gourmet Christmas hamper online. There is no better way to mark a special occasion than by choosing an Australian Gourmet Gifts hamper. At Australian Gourmet Gifts we are delighted to be offering the most beautiful selection of luxury gourmet Christmas hampers and gift baskets online, delivered free. Need the perfect Christmas hampers for your customers? Want to say thanks to your valued employees? We make it simple to deliver show-stopping gourmet gift baskets right to your client’s door, whether in Melbourne, Sydney, or anywhere else in Australia. Each hamper can be personalised with a special message from you and ordered online in no time. Packed with only premium products, fine wines or deli quality foods from Australian suppliers, our gourmet gift hampers are guaranteed to be the perfect treat for your corporate clients, family or friends. Carefully presented in an elegant hamper gift box, our gourmet baskets make the perfect present for men and women. Your gift hamper is hand packed and beautifully presented, to make a pleasing impression. More importantly, the tasty gourmet treats inside are always well received! At Australian Gourmet Gifts, we believe in delivering value. Just because our baskets are more affordable, doesn’t mean they’re less impressive. Your gift hamper is more than just food and wine, it’s a way to show someone your heartfelt appreciation. We understand how important your gift delivery really is! When you browse our luxury gift hampers online, you’re seeing exactly what they’ll receive. Always impressive. Always excellent value. Guaranteed. Our hamper distribution facility in Melbourne is located at Unit 1, 101 – 115 Paramount Blvd, Derrimut VIC 3030. From here, we distribute all hampers for delivery to Melbourne and to all regional areas in Victoria. All hampers to Melbourne are usually delivered by the next day, however it may take a bit longer during the Christmas period. Wherever your recipients are in Melbourne, hampers delivered right to their door surely makes an unforgettable impression and provides a wonderful surprise. Do you want to send beautiful Christmas hampers to Melbourne? Australian Gourmet Gifts offer the best value hampers and free delivery. All hampers to Sydney and across New South Wales are despatched from our Sydney hamper facility located at Unit 1, 9-10 John Morphett Pl, Erskine Park NSW 2759. Therefore, no matter where your recipient lives or works in Sydney, we can organise a beautiful hamper for quick delivery. For all hampers to Sydney and country NSW we also offer express delivery so your recipients can have their Christmas hampers by the next business day. For all hampers Sydney, simply call on Australian Gourmet Gifts. The Easiest Way to Send Hampers. Simply Order Online, We’ll Deliver! Ordering your hampers online is simple. We make it simple and fast to do your gift shopping! 1. Choose your hampers online from our selection. 2. Personalise it with a message. 3. Decide where you want your hampers delivered. 4. We do the rest. For single orders, you can choose to have the gift hamper delivered Australia wide directly to the recipient (with your message on a beautiful card), or to you for hand delivery. There’s a reason so many of Australia’s top companies choose Australian Gourmet Gifts for corporate Christmas hampers and staff gifts. We understand your corporate reputation is on the line – our reputation is online corporate gift perfection! Our Australian gift hampers arrive fresh and beautiful every time. Let us make your job easier. You choose your gift baskets, we’ll take care of your clients on time and to your exacting standards. Free Delivery Across Australia on all Christmas Hampers and Gourmet Gift Hampers. 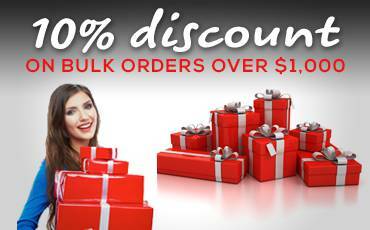 At Australian Gourmet Gifts, we deliver all hampers free, secure and on time Australia wide. We use a real-time dispatch system to process your orders instantly. This means we’re exceptionally quick! 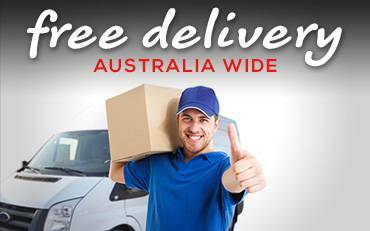 Free gift hamper delivery to Sydney, Melbourne, Adelaide, Brisbane and Perth can be as quick as next day. Hampers delivered to other capitals and across Australia is fast and free also – but if you need a last minute gift delivery, we offer overnight express for a small fee. You’ll be able to track your hamper delivery so you know just when your recipient will be wowed! Buying Christmas hampers online? Christmas can cause delivery delays, so order early or choose our affordable next-day delivery option. Do you know someone who deserves to be pampered this Christmas? Browse our impressive selection of Gourmet Christmas Hampers! Are you looking for premium gourmet hampers online to send to your clients and employees? Have a look at our premium Corporate Hampers! Would you like to surprise someone for their birthday; or congratulate someone on a great achievement such as purchasing a new house; or for any other special occasion? Australian Gourmet gifts deliver beautiful Gourmet Gift Hampers Australia wide! Where to Buy Christmas Hampers in Australia? One Present To Suit Every Event? Gourmet Christmas Hampers! We would recommend Australian Gourmet Gifts to all. We cannot advertise Australian Gourmet Gifts enough! Theo was extremely helpful and went above and beyond expectations, delivering beautifully presented hampers, full of divine products. Theo was wonderful to deal with and I am sure we will order again in the future. We were very impressed with your hampers and quick turnaround especially at Christmas and with such short notice. The hampers were beautifully presented and were all received by our clients. Also the service you provided us with was exceptional, very happy! I have ordered a number of hampers from Australian Gourmet Gifts over the past couple of years. The hampers are always great and loved by the people we send them too. I deal with one of the customer service staff Theo each time and he is fantastic. He is always available to answer any questions and goes above & beyond. I highly recommend this great company. Friendly, Courteous and professional staff integrated with reliable & fast courier service. Our company went and ordered their hampers for Christmas. The order were processed few days afterward and received tracking code for each of them. Our clients were happy!! We will definitely come back and order from them again this Christmas ! All the recipients were thrilled with their Christmas hampers and appreciated the fine quality and way in which they were presented. Thanks for such prompt delivery of the hampers and your great service. Just a brief note to say a big thank you for the fantastic Xmas hamper we received today. It is without doubt the best we have ever received. We are all very appreciative and as you would imagine the girls have already started eating the chocolates. Thanks again! We were looking online for a Hamper Company and came across Australian Gourmet Gifts. I liked the variety of the different hampers they had on offer and so I contacted them. I couldn’t have asked for better service, they able to accommodate what we wanted for the three hundred hampers we wanted to send in all corners of the country. We were impressed with just how easy the process was, and all of our staff that received a Hampers raved about them . I would highly recommend them to any business wanting to do something special for their staff or clients for Christmas. I would just like to take this opportunity to thank you for the hampers which we purchased from you for our clients at Christmas time. The ordering was easy and you help with delivering our hampers to various offices around Australia made the whole process very smooth and stress free. Even when I altered the order in regards to quantities and delivery requirements your help was invaluable. When we received the hampers they were beautifully presented and our clients were very impressed with both the presentation and the quality of the hampers. Just a short note to say thank you to you and the team at Australian Gourmet Gifts for the professional hampers you provide to our firm at Christmas. We were very grateful for the well presented hampers that were provided and the feedback from clients has been appreciative. Furthermore I was most impressed with your eagerness to help us in providing an additional couple of last minute extra hampers and the direct delivery of these hampers to our clients to ensure they received them prior to Christmas. What can I say, I will be definitely using your hamper service again. My clients really appreciated the quality of your wine hampers and I appreciated you getting the job done promptly at an affordable price. Thank you once again for an exceptional service. I will be recommending your wine hampers to friends and colleagues alike. We sent gift baskets to each of the 65 owners who had purchased off the plan and were about to settle. The journey was seamless and we had wonderful feedback regarding the contents and presentation of the gift baskets. When it came time to do our End of Year baskets to business associates and our Hotel Managers, I simply left it to Australian Gourmet Gifts. The selection was great, and the value for money was excellent. Once again, I simply provided a list of names and addresses, and it was all seamless once again. I certainly will be revisiting the experience this Christmas. We recently got great results for our yearly sales and targets. As a thank you we needed to quickly arrange some hampers and gifts for both our staff and clients. Australian Gourmet Gifts did an excellent job at getting them out so quickly and the quality was spot on. Everything was fresh with long used by dates. The team did an excellent job at tailoring them to our needs and we’ve been asked by our clients for their number. Thanks to the Australian Gourmet Gifts team! Tony and the Kane Group team. We have recently purchased hampers from Australian Gourmet Gifts for our staff. I was looking for hampers online just before Christmas and I was very grateful that I came across this website. Every single one of our staff absolutely loved their Christmas hampers. They were really impressed with the quality of the wine and the delicious chocolates. In addition the hampers were beautifully presented. Best of all, the hampers were delivered on the promised date, as I placed my final order very late. I will definitely be ordering more Christmas hampers from Australian Gourmet Gifts this year. Nyko Property has been using the services of Australian Gourmet Gifts for a number of years now, and will continue to, moving forward. What we really appreciate about the team is their professional approach, and assistance in choosing the most appropriate gift hampers for differing occasions, all at very competitive prices, and from a wide variety to select from. Last year I was searching online for a supplier for our staff Christmas hampers. I was searching for a reputable company that offered an arrangement of hampers that were affordable and contained unique quality items. I found so many companies that sold hampers, but the hampers all looked the same. One day I came across ‘Australian Gourmet Gifts’ and went to their website www.australiangourmetgifts.com.au. I found hampers that contained quality items for our budget. We highly recommend Australian Gourmet Gifts to all prospective businesses or companies looking for the very best hampers.